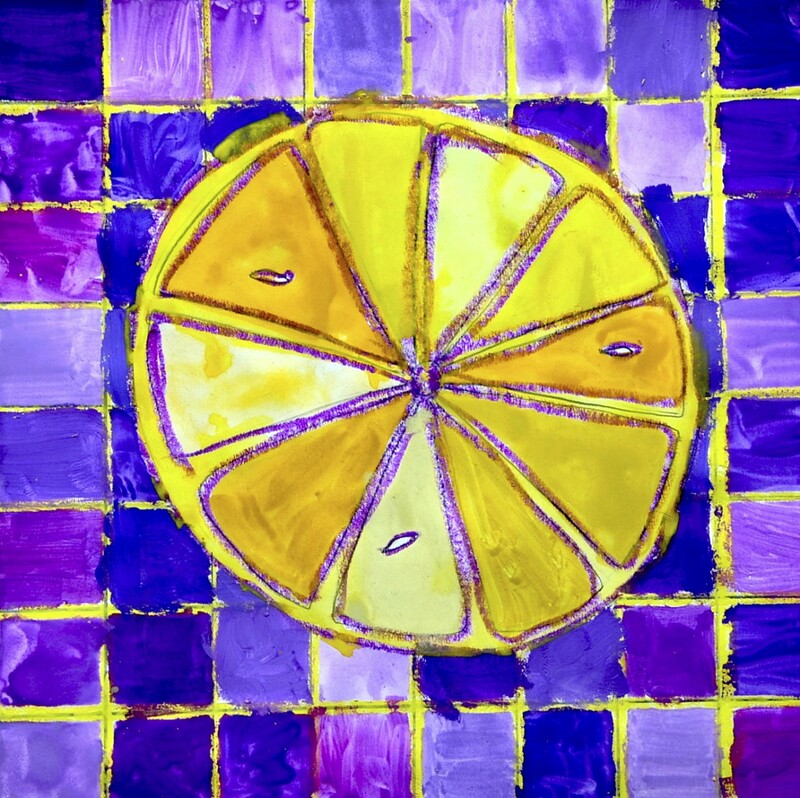 In order to experience the variety of complementary colors we thought to the shape of a lemon cut in half: for each segment, a different shade of color. 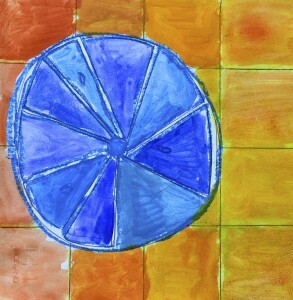 Even the background checkered became a pretext to try many variations of the same color. 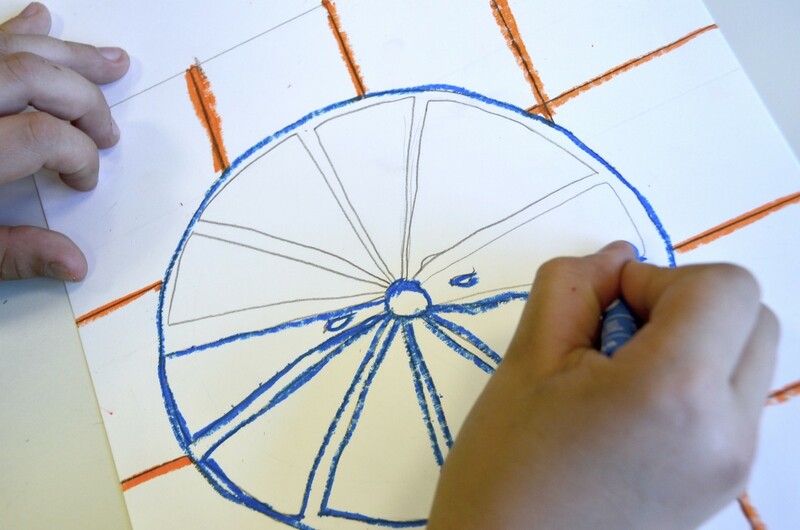 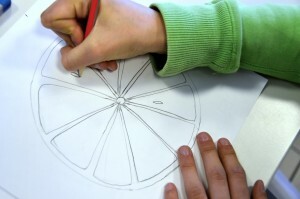 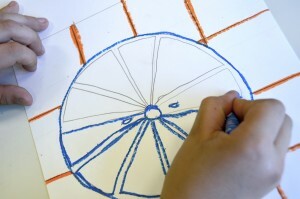 First we drew it freehand, half of the fruit, drawing a circle with the segments and the seeds, deliberately irregular. Each student chose a pair of complementary colors: yellow and purple, or red and green or orange and blue. 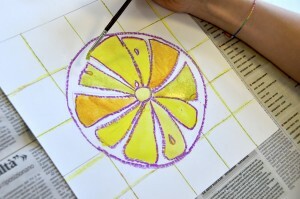 The linear drawing was then colored with oil pastels, with colors chosen to define the areas to be painted. 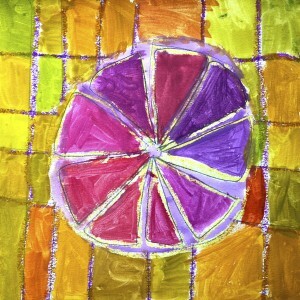 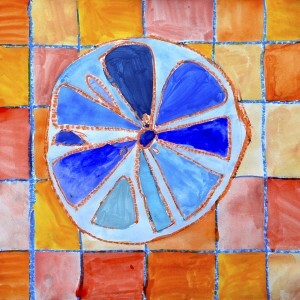 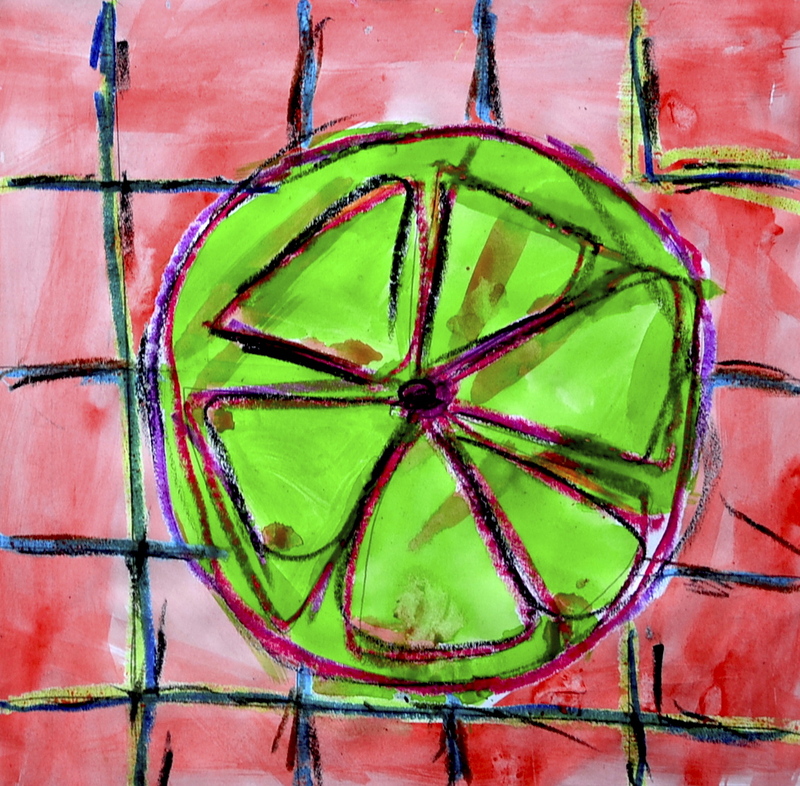 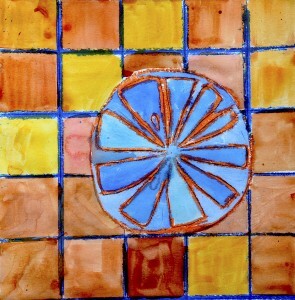 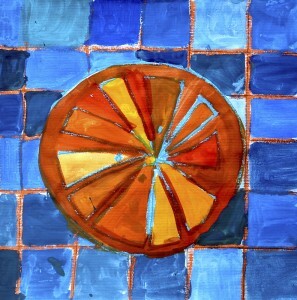 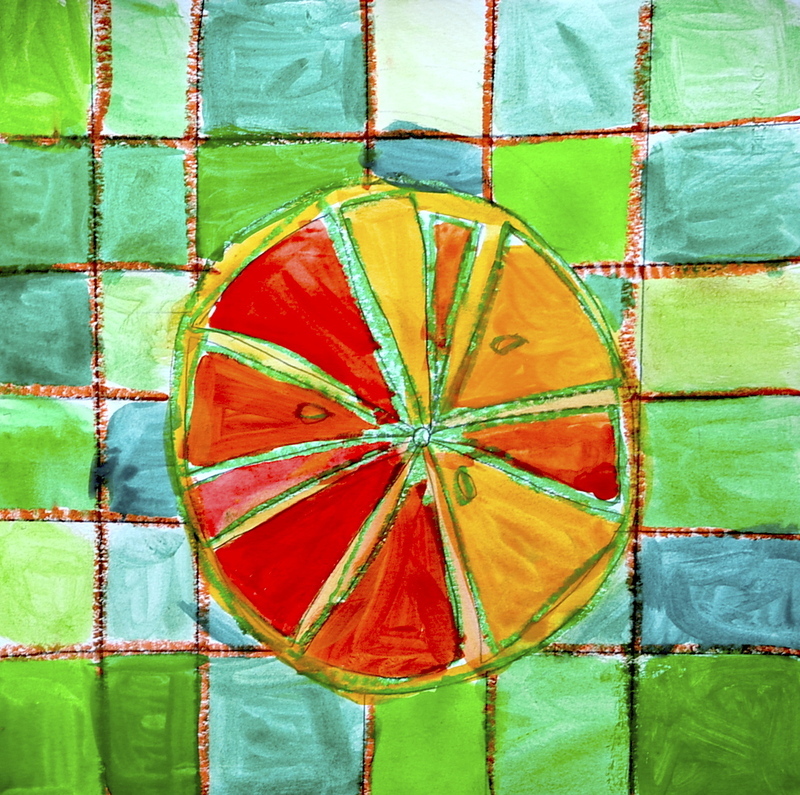 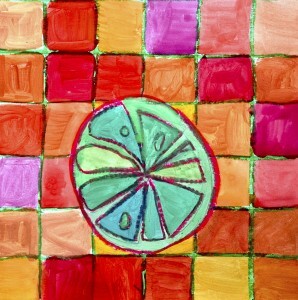 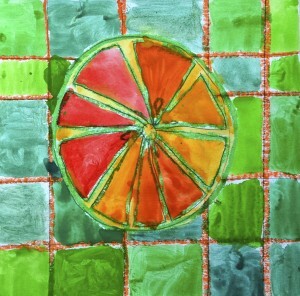 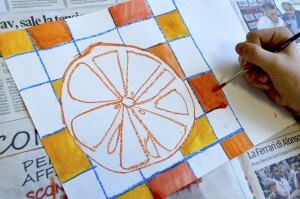 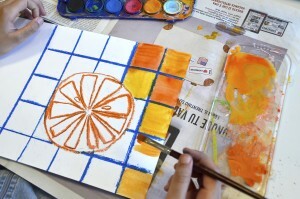 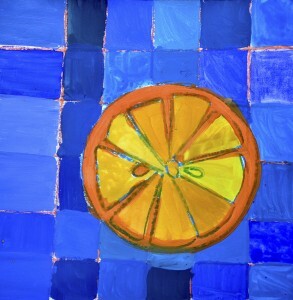 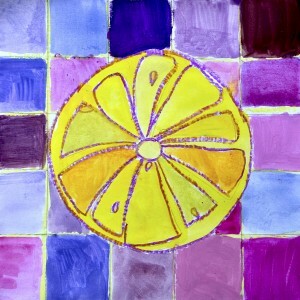 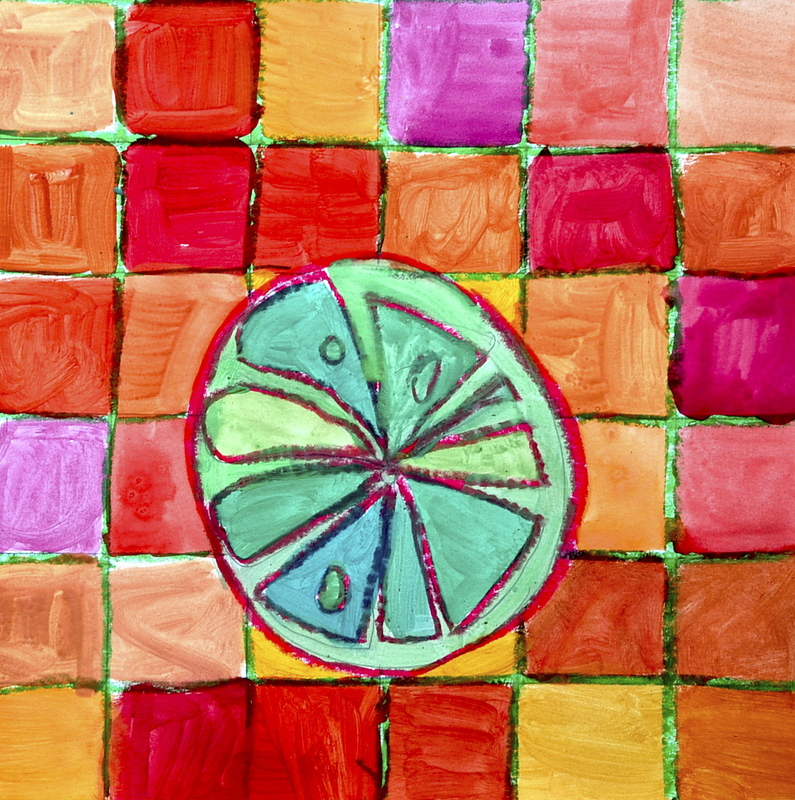 Subsequently the segments of fruit and the background were colored with watercolors. The task was to find different shades and variations of the same color for the fruit, (for example yellow) and many shades of the complementary color for the background (in this case purple). 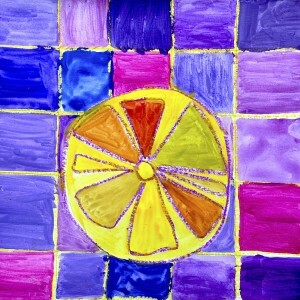 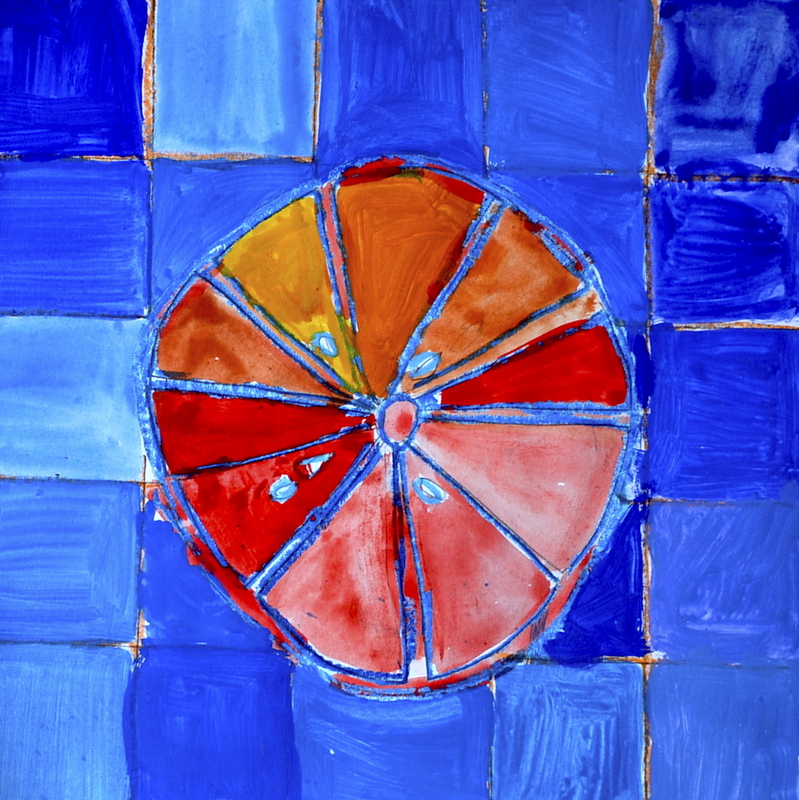 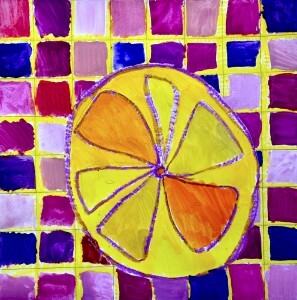 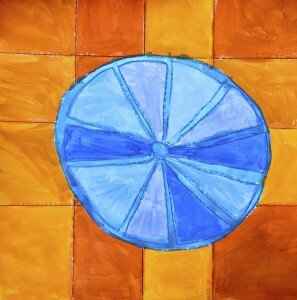 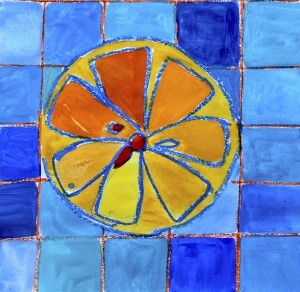 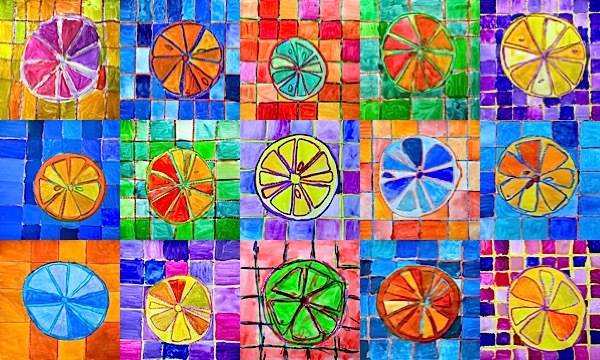 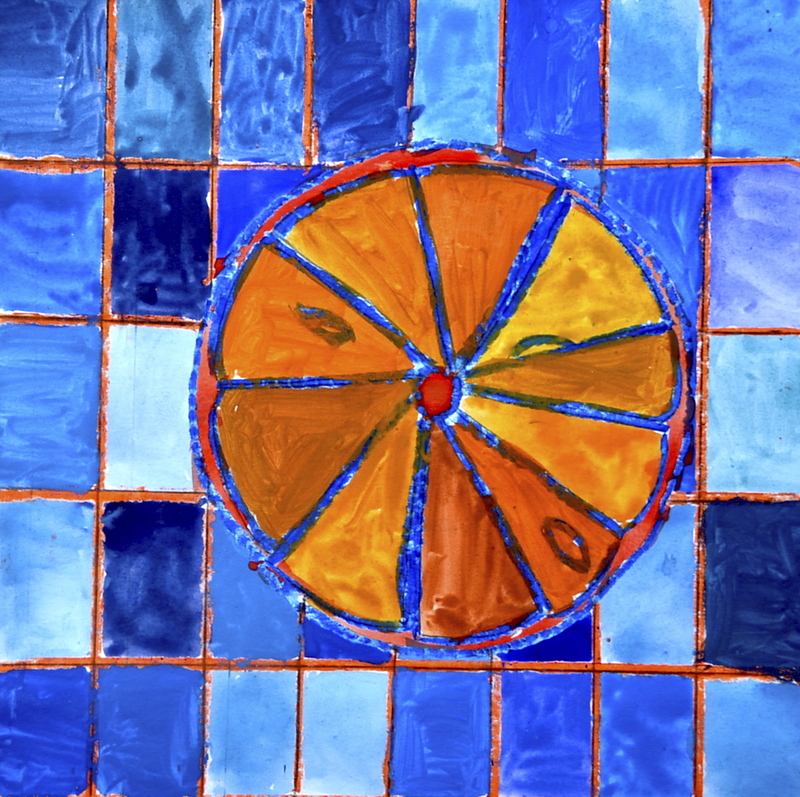 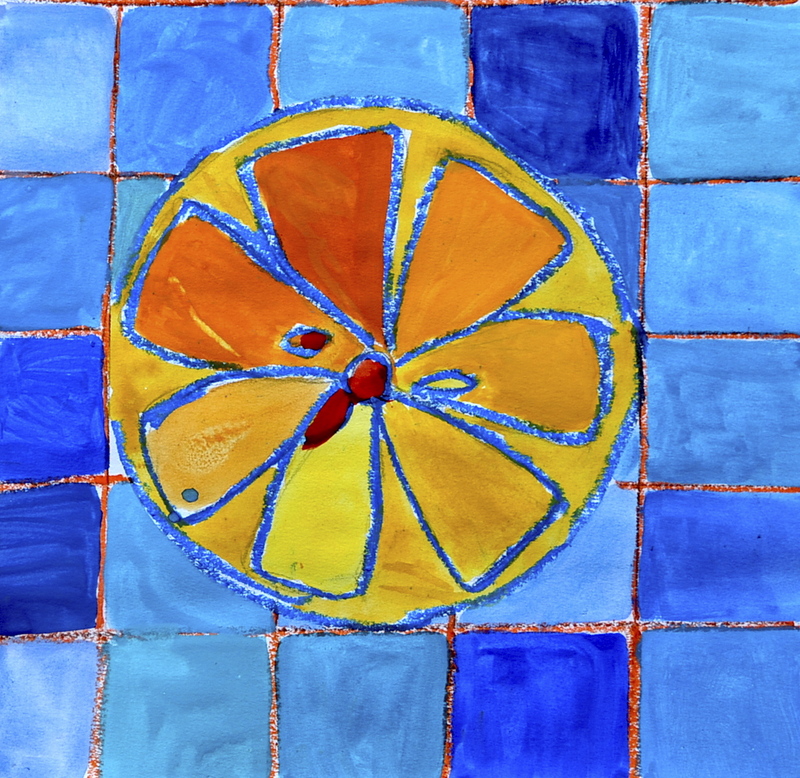 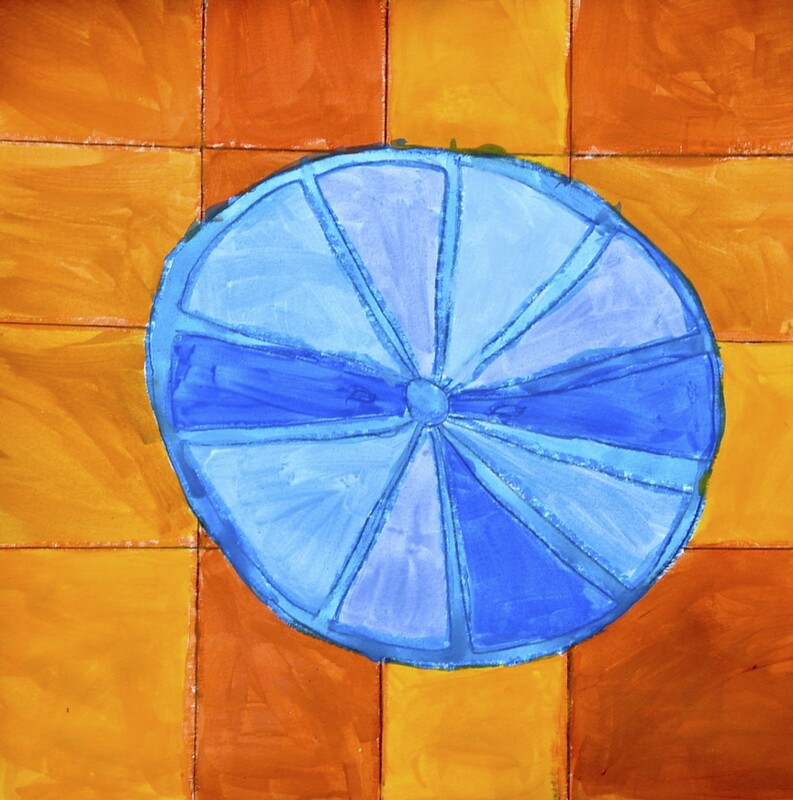 The work was carried out with students of the sixth grade, to experience the complementary colors and finish with a flourish the color’s theory. 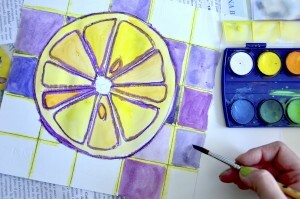 This is lovely, and I would love to try it with my 5th grade students! 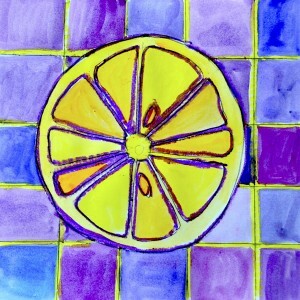 I am absolutely in love with your lessons. 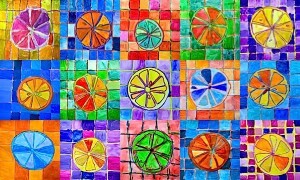 Amazing really!